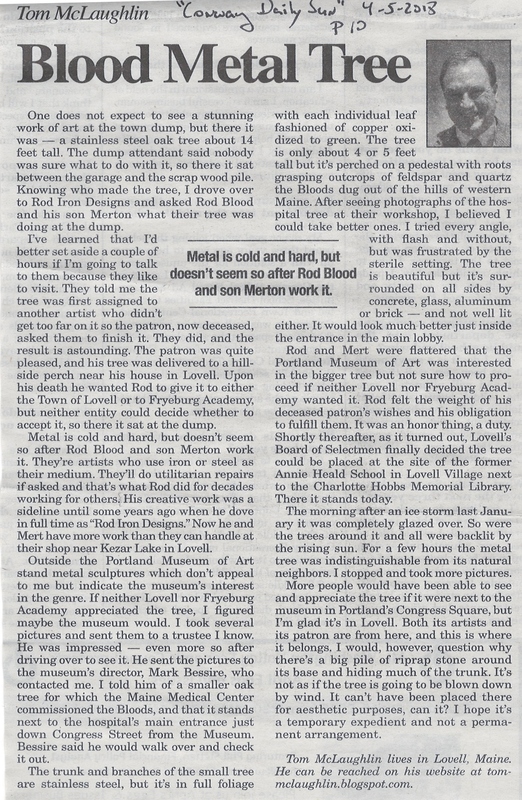 Thanks to Tom McLaughlin for an informative column on Rod Blood, Merton Blood and the Lovell Village Tree! Back in September's KezarLife posting A Tree Grows in Brooklyn.., there was quite a bit of feedback received and questions asked. It seems that everyone has an opinion on this intricate work of art. 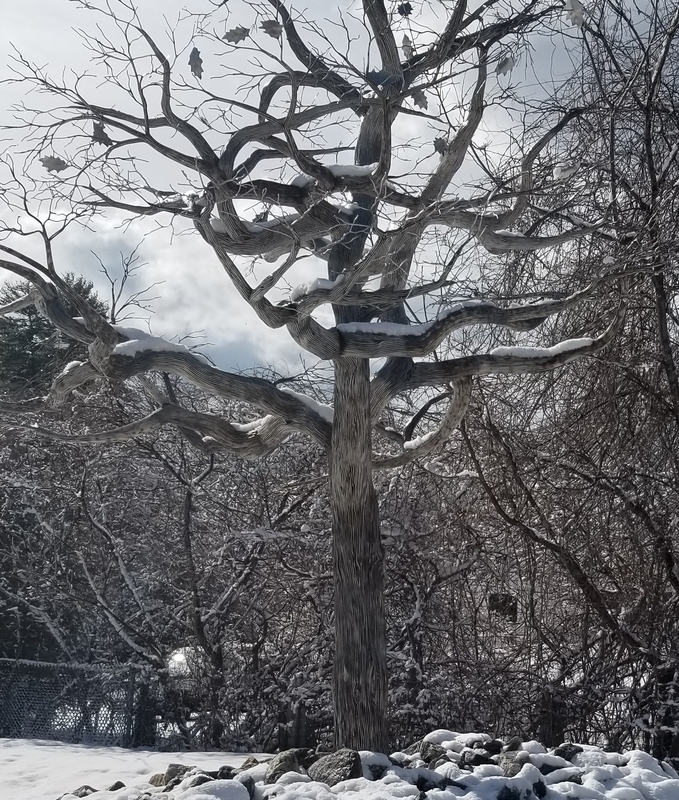 Everyday I look out my office window and see the tree. Although the park is a good spot for the tree, I am still not certain that the current location is the best. Perhaps set back a bit further away from the Memorial, the Minuteman statue and the flag. Here's a link to the full story on Tom's blog.